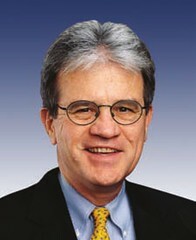 U.S. Sen. Tom Coburn’s vote against opening the government and raising the country debt limit is yet another example of his crass, bifurcated political style. In an extremely bipartisan vote, the U.S. Senate voted 81-18 Wednesday to fund the government through Jan. 15 and raise the debt ceiling through Feb. 7. This came after a 16-day government shutdown. “But to create the impression that we can defund ObamaCare when the only thing we control – and barely – is the U.S. House of Representatives is not intellectually honest,” Coburn said on MSNBC days before the vote. That statement seems reasonable enough coming from a politician who recently said, in perhaps a less lucid moment, that President Barack Obama was “getting perilously close” to impeachment, which was a bizarre, untruthful claim. But when the time came to vote on the funding bill, Coburn chose to keep the government closed and destroy the nation’s economy. Fortunately, there were more than enough Senators who actually agreed with Coburn’s statements about the awful, senseless Republican strategy in the first place. So, in other words, Coburn tries to have it both ways. On one hand, he seems like a rational moderate by opposing fringe elements in his party. On the other hand, he votes in unison with that fringe element. He gets away with it because the corporate media here won’t hold him accountable to his obvious contradiction. Washington doesn’t need short-term budget and debt limit extensions as much as we need a long-term spending addiction recovery plan. The American people should do what any responsible parent would do if their adolescent child couldn’t handle the responsibility of a credit card. We should cut up the credit card and live within our means. With this agreement, the hard decisions we have to make have only been put off for another day, when our fiscal problems will be bigger and more painful to solve. It’s time to make tough choices now. These are standard, hollow GOP talking points. Coburn, who claims for now that he’s not going to run for reelection in 2016, is simply appeasing his ill-informed base of supporters, which he purposely enrages with misinformation and presidential impeachment suggestions. It should make people wonder if he actually IS going to run for reelection. U.S. Sen. Jim Inhofe was unable to vote on Wednesday because he’s recovering from major heart surgery, but it’s a good bet he would have voted along with Coburn to keep the government closed and ruin the country’s credit by not raising the debt ceiling. U.S. Rep. Tom Cole was the only politician in Oklahoma’s Congressional delegation that had the decency and common sense to stand up to the Tea Party radicals and vote in favor of the bill. Cole also stayed consistent with his earlier remarks criticizing the GOP strategy, which ultimately cost the country’s economy an estimated $24 billion. But let’s get back to Coburn. As I’ve written again and again, Coburn likes to present himself as a dignified statesman championing government fiscal responsibility, but his actions often expose him as a Republican extremist and political opportunist. His vote to inflict further damage on the nation’s economy for what seems to be obvious personal political gain is yet another example of that.